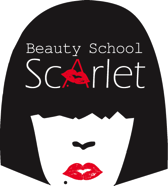 This weeks blog is a guest post from one of my favorite beauty bloggers Beauty School Scarlet (@abeautyscarlet). Enjoy! Tip #1: This tip is easy but it took me forever to see what was right in front of my face (don’t judge me, I have seen the light and opened my eyes). 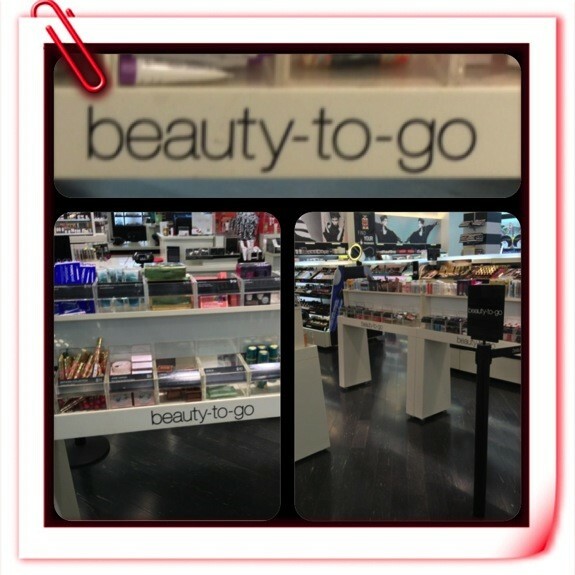 If you are taking a trip, when you shop for your beauty products, always shop the travel section. Every store has one these days from Target to Sephora and everything in between. The travel section offers sizes that are TSA approved. 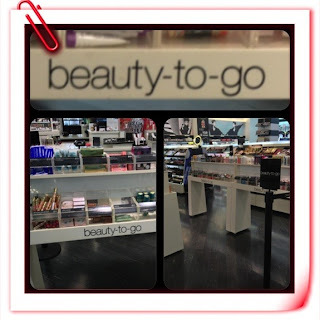 My go to travel section for skin and hair products is the Beauty To Go area in Sephora. They offer the brands that I love and the products that I use. Tip #3: Utilize the space inside your bag for non-liquid items like deodorant, pressed powder, toothbrush and liquids like contact lens solution (yes, this is okay…the TSA will not tell you but I will). You can have contact lens solution in a travel size inside of your suitcase and get through security. Trust me…a TSA Agent informed me on this tip :-) Winning!!! 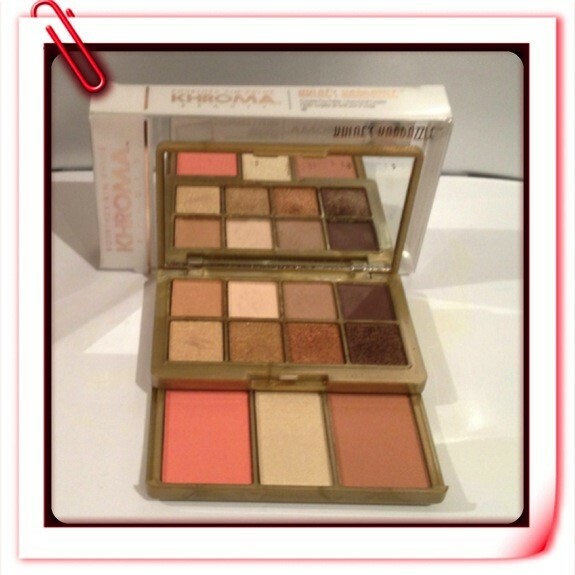 Tip #4: Purchase multifunctional beauty products that will allow more room in your suitcase like a makeup palette with eye shadow and blush or eye shadow, blush and lips. Trust me, you are not going to use 10 colors on vacation (if you do, then you are a bigger makeup junkie than me and I am not sure that I can help you)…IJS. You can also purchase makeup wipes that cleanse, tone and moisturize so you do not have bring a cleanser, toner and moisturizer. 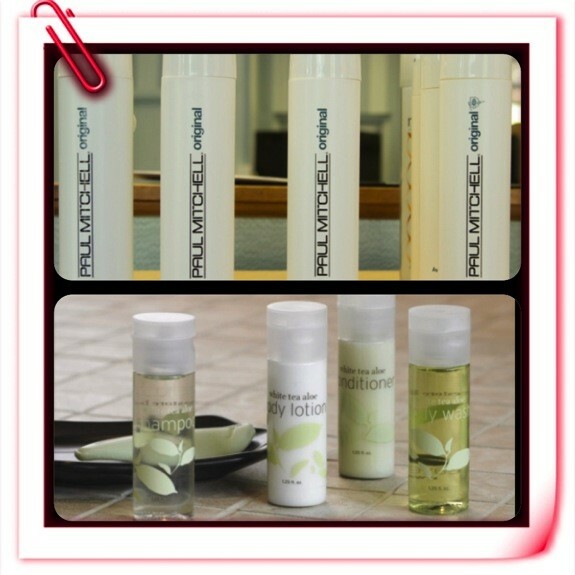 Tip #5: If you don’t have sensitive skin or if you are not picky, leave your shower gels and shampoos behind. You can utilize what the hotel offers or you can do what I do…shop when you get to your destination. These days a lot of hotels offer decent brands for shower gels and shampoo for free (and if it is a good brand and it’s free…then it is totally for me)!!! 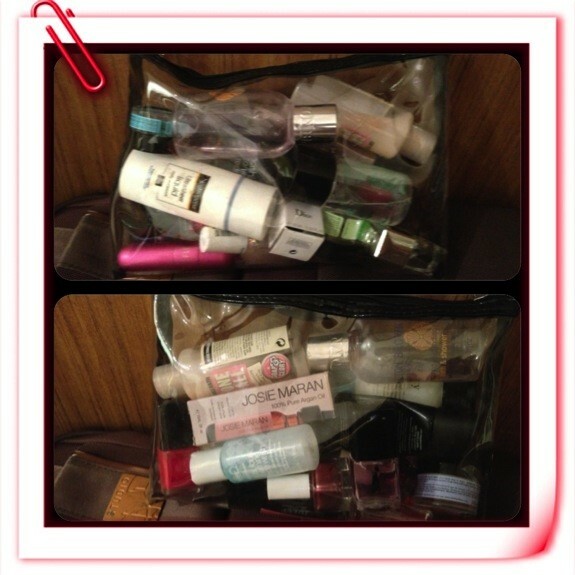 So there you have it, the top 5-beauty travel tips from a Beauty Blogger!!! I hope this has helped you as much as it as helped me. I travel just about every week and it is not always that easy. 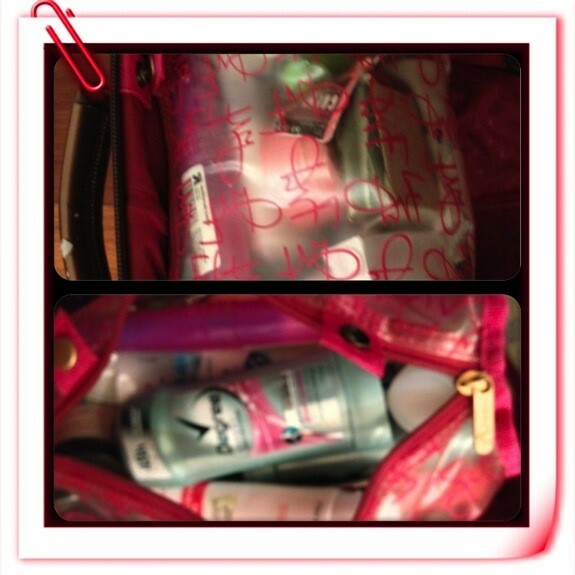 BTW…I always have 2 of everything in case I have to check my bag and the airline misplaces (I mean looses) my bag!!! I keep 1 set at home and 1 in my suitcase and this is what works for me. Happy Packing!! !